Today I have a fun Halloween card to share with you. I know Halloween is over but I just couldn't let this card got o waste without sharing it. To make this card I covered a white card base with patterned paper. Cut your Spiderweb Window die cut out with Black Card stock. Add Velum to the back of the window. Pop it up with pop dots and adhere it to your card. Stamp your sentiment on black card stock and emboss it with white embossing powder and add to your card. Add Rhinestone trim to the top and bottom of the window as shown. 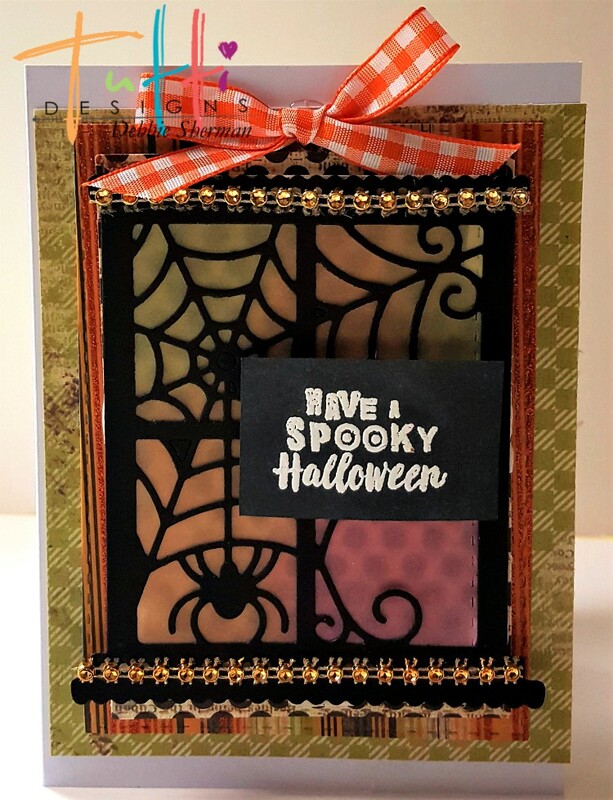 Cute Halloween card, Debbie! 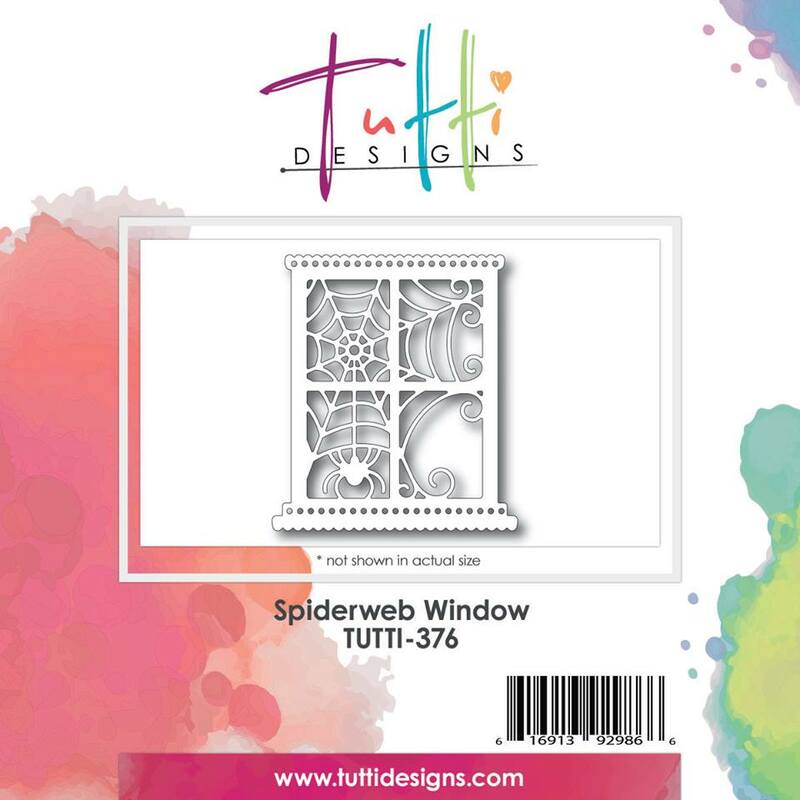 The spider window is one of my favorite Halloween dies. You have showcased it well! The Halloween card looks good. I appreciate that you have added steps in your article to explain how this card is made. Job well done.